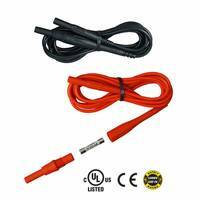 AEMC Instruments introduces its’ high capacity fused (red/black) test lead set. They are rated up to 1000V, CAT IV in accordance with IEC/EN 61010-031. Electrical equipment has protection devices built inside them to protect the meter, but the end-user can still be exposed to potential dangers. These leads are essential to the technician who is exposed to potentially lethal currents especially in high energy environments. The closer the fuse to the connection, the better protection it provides for the end-user. These leads allow for the use of standard 4mm safety probes and alligator clips providing a fuse-protected measurement. The insulation on these allows them to remain pliable even in colder temperatures. To replace the fuse in either lead, the two part fuse connector can be easily unscrewed. The safety rating of the leads is dependent on the fuse rating. While some meters are low cost, the cost of adding fused test leads will increase the value of the meter. The money spent on fused leads is a viable investment towards the overall protection and safety of the end-user. 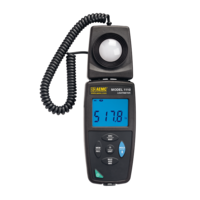 Model 6255 10A Micro-Ohmmeter uses four-lead Kelvin method of testing. Voltage Testers are IP65 rated. Model 6681 Cable Locator meets electromagnetic compatibility standards.